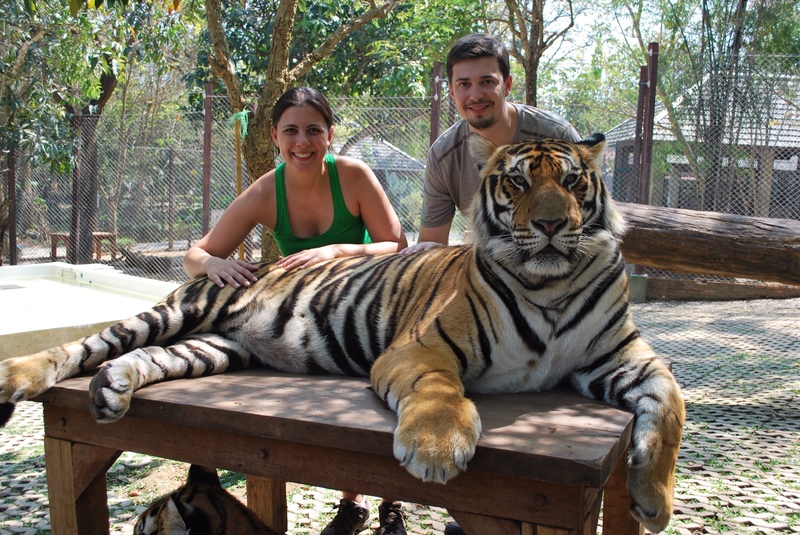 Carol and Lucas recently went to chiang Mai, Thailand. They have shared their top recommendations with us. We will make it there at some point soon, and will verify it all with our own eyes!! 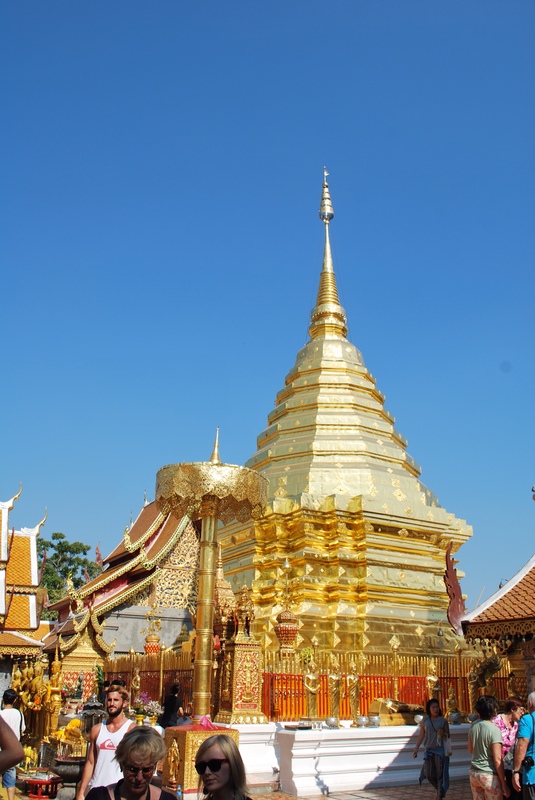 Chiang Mai is one of the main destinations in northern Thailand. To be honest, we decided to go there because two friends suggested, but we were not sure what we were going to find. Now, I am glad we decided to go. The city is not particularly pretty, but it is packed with very beautiful temples, nice hotels and restaurants and incredible side trips. We stayed in Ping Nakara hotel and we really enjoyed it. The hotel is beautiful, the staff is incredibly nice, the rooms are nice and spacious and the food is good. Although it is not within the city walls, it is very well located, as one can easily walk or take a tuk-tuk anywhere. The hotel has a very good spa. We had some of our favorite massages of the trip there. (Obs. : There are small massage places everywhere in Chiang Mai. We went to Deep Relax and it was nice). Also, the hotel owns a nearby restaurant/bistro (Nakara Jardin), which is absolutely beautiful and serves lunch, snacks and high tea. We only had dessert and smoothies and they were great (I wish we had gone for high tea). Just never forget the mosquito repellent, as the hotel and the restaurant are by the river. We really liked our lunch at Ginger & Kafe. The restaurant is in the northeast end within the city walls. It has a very nice modern asian style and it serves both Asian and western food. We had the Thai appetizer platter (that was amazing) and a very good set menu. They also make good cocktails and a delicious mango sticky rice for dessert. There are two nice shops around the restaurant, selling clothes, accessories (nice bijoux at great prices) and decor pieces. The decor store is great! We also had a very nice dinner at The Whole Earth. The restaurant has Thai and Indian food and everything we ate was very good (fried rice in pineapple and a chicken curry). For tea and snacks, we loved Kalapella, a little tea shop in Rachadamnoen Street (the city's main street). They have a wide variety of teas, good snacks and a very friendly staff. Good spot for a break from visiting the temples. Also, in this block of Rachadamnoen Street there are some nice shops (loved Eranyara necklace shop – not cheap, but amazing one of a kind pieces). There is literally one temple every 3 blocks in Chiang Mai. Some of them are not even in the tourist maps. It is worth visiting at least one of these small temples, as these are the ones really used by the locals for prayers. 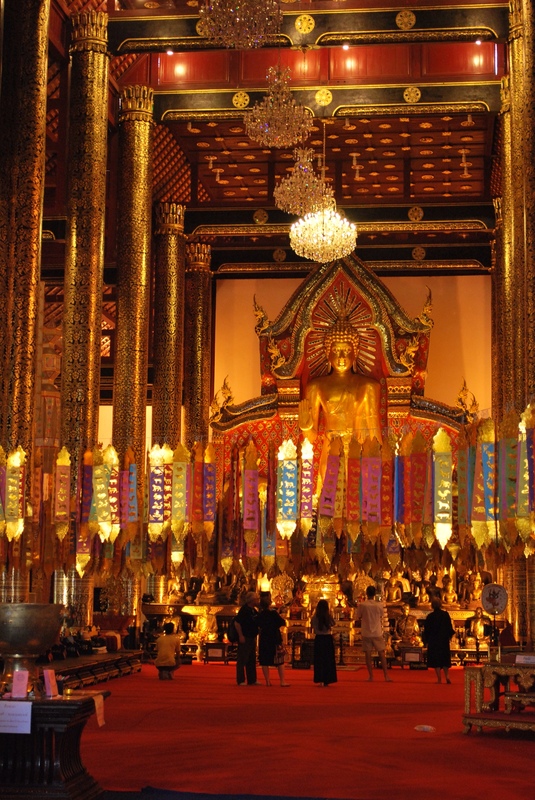 The most important ones in the city are Wat Phra Sing and Wat Chedi Luang. Outside the city, in the mountains, is Doi Suthep temple. It is beautiful and worth the visit. We heard that the sunrise there is beautiful, but we decided to go there as a part of the side trip to Elephant Camp (Maesa) and Tiger Kingdom. 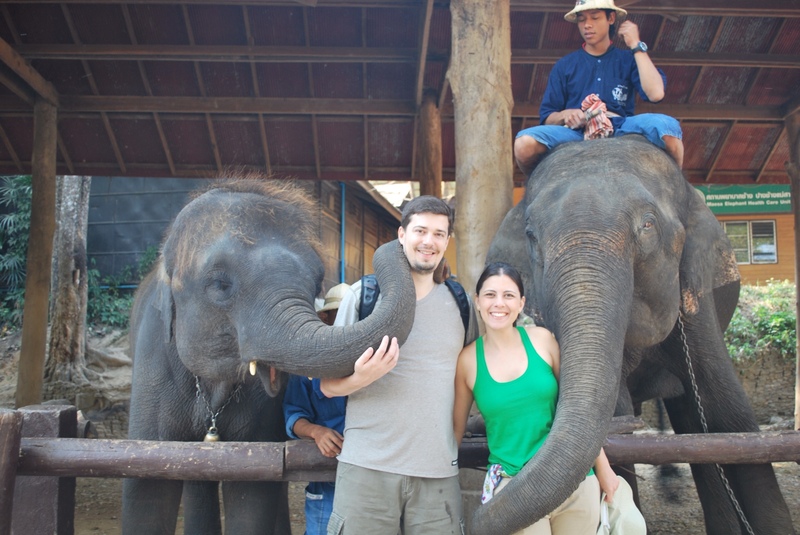 We booked a private tour with Lanna Boutique Travel to go to Maesa Elephant Camp, Tiger Kingdom, Hill Tribes Village and Doi Suthep. We totally recommend the agency and the tour! This was a full day visit and it was amazing! It was worth having a guide to organize everything and to tell us about the places. In theory, the best time to visit both Maesa and Tiger Kingdom is in the morning, but it was impossible for us. So, we visited Maesa first and then we had lunch in the Tiger Kingdom, which was a pretty good Asian food buffet. It worked fine! The hill tribes visit was fine, as it is very close to Maesa, but it is not worth a visit just for that. 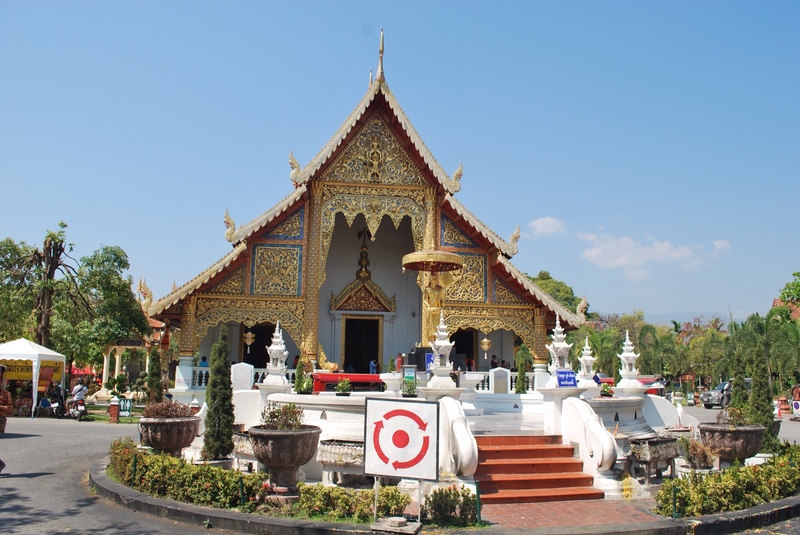 We found that 2 days is enough time to get to see most of the sights in Chiang Mai. We would recommend he city for a visit when in the region, it was a great experience. ← Cambodia/Thailand: beautiful ruins and beaches!